Mirror photo by Gary M. Baranec Kranich’s new location along Plank Road is now open for business. Kranich’s Jewelers has opened its new plaza at 515 Plank Road. The 9,000-square-foot plaza was designed by Hollidays­burg architect Patrick Baechle. The structure rises to 40 feet to accommodate both Kranich’s ground-level jewelry store and its second story corporate office. Other plaza tenants will be Jersey Mike’s and a yet-to-be named store. 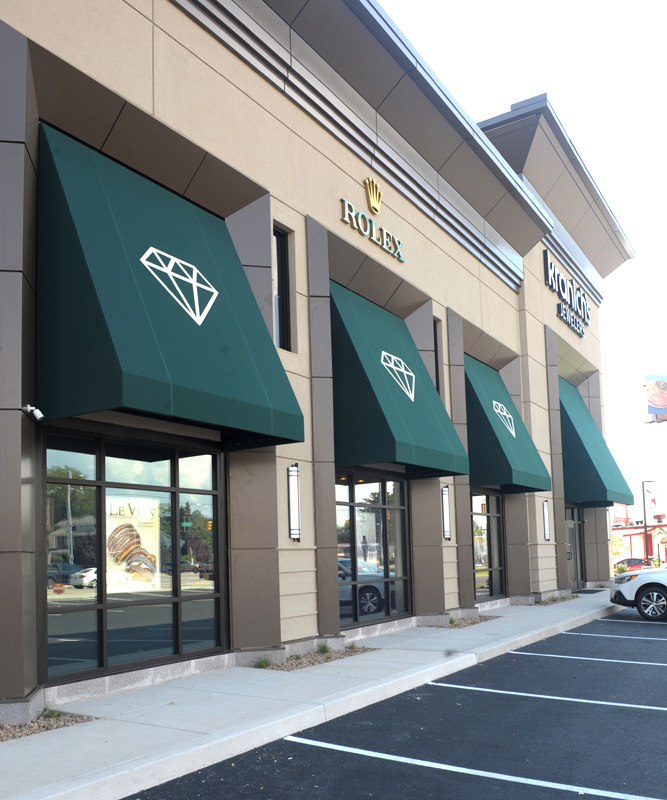 As an authorized Rolex dealer, the new Kranich’s Jewelers features a Rolex corner that is designed to Rolex standards, as well as an on-site jewelry repair and custom design shop and the largest collection of diamonds that Kranich’s has ever featured in one store. President/CEO Michael Kranich Jr. described the project as the Kranich family’s “largest and most unique to date” and said that he believes that it will revitalize that commercial block along Plank Road. Kranich said the building’s unusual interior and exterior design, distinctive custom awnings, a black, gold-trimmed replica of a 19th century public street clock and the landscaped greenspace make the plaza inviting. This marks Kranich’s eighth Altoona location since 1923, when the first Kran­ich’s Jewelry store opened along 11th Avenue in downtown Altoona. It’s brothers Michael and Charles Kranich’s second free-standing store project. 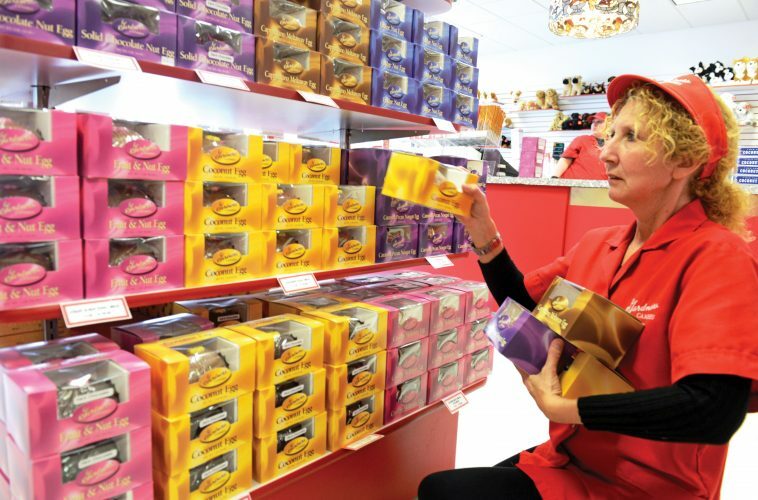 In 2012, they totally remodeled a store along North Ath­er­ton Street in State College. “That store is very successful. Our customers appreciate the spacious atmosphere, convenience, ample parking and large selection destination shopping in a beautiful setting. We expect our new Plank Road location will be even a bigger regional draw,” President Charles Kranich said in a statement.